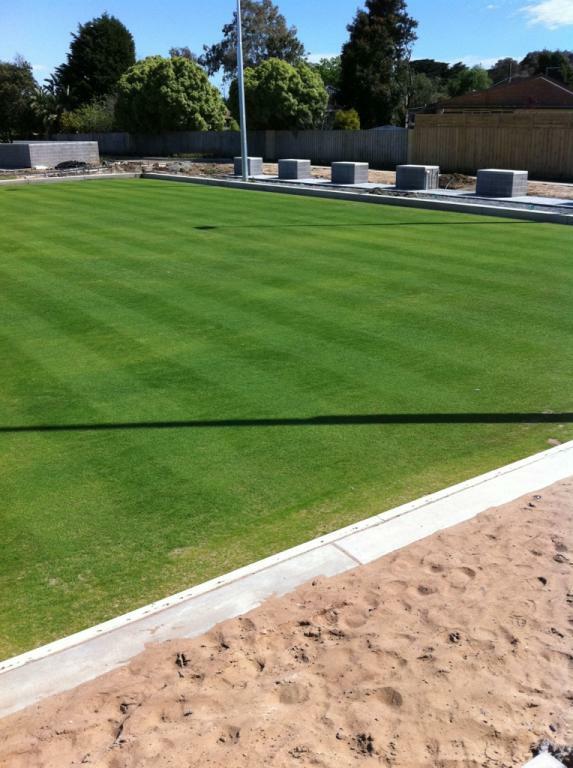 When it was decided to construct a bowling green on top of an underground car park, there were many questions to be answered, such as load, saturated load, sand profile specification, moisture retention required and drainage. To overcome some of the variables, different rates of Sanoplant were applied to areas of the green, adjusted for the varying profile depth. The outcome has been superb! The turf established really well, and the surface covered rapidly. 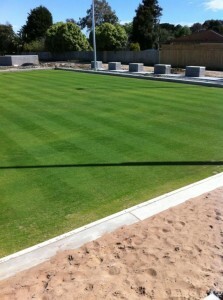 Initially, contractor Michael de Mattia of Melbourne Turf Care was concerned that the drainage rate my be too fast, but improved moisture retention has ensured excellent root depth and mass! As the green matures, it will surely be one of the best in the region.